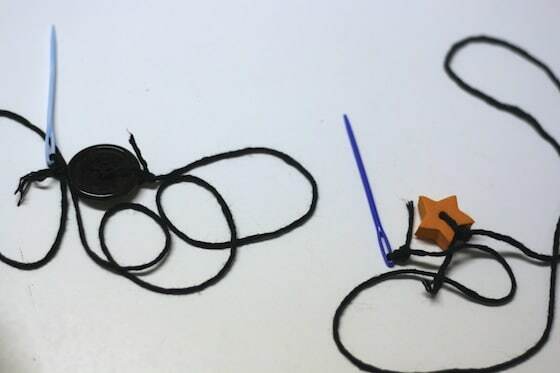 Halloween Necklaces – great, little halloween craft toddlers and preschoolers to help develop hand-eye co-ordination and fine motor skills. We’re making lots of Halloween crafts here in my home daycare these days! 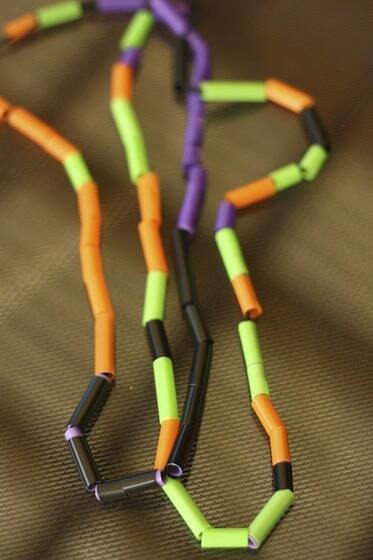 We made these Hallowe’en necklaces today! The hooligans loved the process for the festive colours, and because they created something they could wear. I loved the process for all of the learning that took place. Have your child cut the drinking straws into short pieces. This is an activity in itself, and one of my favourite ways for getting children started with scissors. Now, thread your needle with a long length of black yarn. To prevent the straws from sliding off the yarn when your child is threading them, tie a large button or bead to the end of the yarn. You will remove this when the necklace is finished. Hand it all over to your little one and let them get to work. I know it looks like a very simple craft, but your child’s hand-eye co-ordination and fine motor skills will be challenged as they line up the needle and push it through the straw. 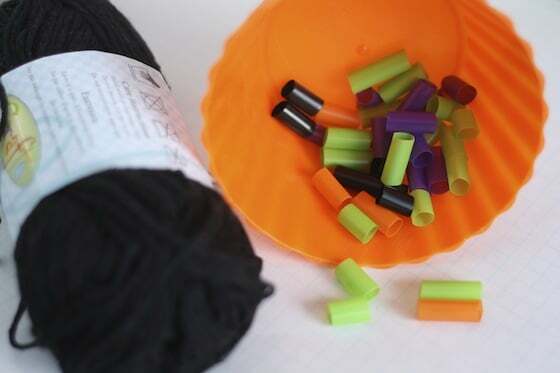 The concept of holding that needle with one hand, while pulling the straw down the length of yarn, until they hit the stopper, can be tricky grasp at first too, so you may have to demonstrate that action yourself. Resist the temptation to over-help your child. I know it’s tough when it just seems so natural to help with your own hands, but see first if you can talk your child through a new concept, using words and actions. This might be just as challenging for you as the new concept is for your child, but it will give your him a chance to really figure it out for himself. If your child is very young, there’s an opportunity to talk about colours as they thread their necklace, and for older children, they can experiment with creating patterns. Your child may choose to thread only a few straws onto her necklace, or she may fill it right up. Let her decide when she’s satisfied with the way that it looks. When we let our children make their own choices when they’re crafting or creating art, it not only helps to foster a love for creativity, it helps them to learn to make decisions with confidence, and they can be truly proud of their efforts knowing that their work is their own. Looking to make some more easy Hallowe’en jewellery? Check out our Hallowe’en Button Bracelets! 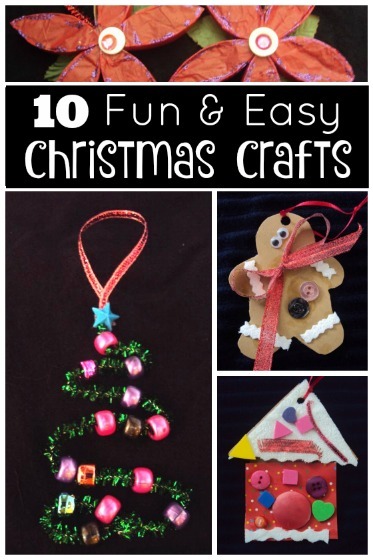 These are such a great way to work on fine motor skills. What cool colors of straws you found! These straws sure beat dying macaroni! Thanks for the idea!